Clothcycle: Welcome to Australia Eco Femme! Welcome to Australia Eco Femme! 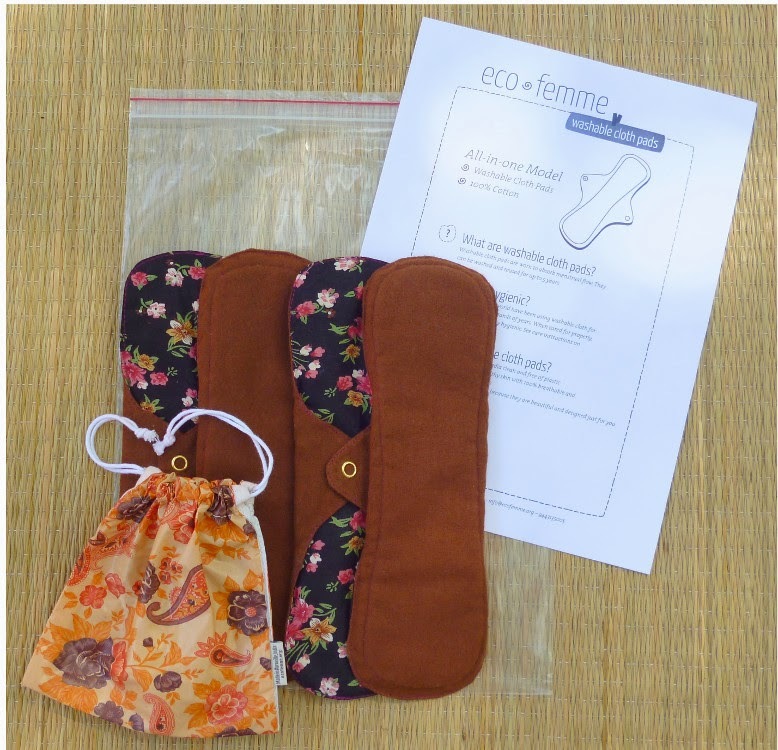 Eco Femme is a women's empowerment project which has risen from rural India and is reaching the world via the Auroville Village Action Group and the Gift a Pad Program. Kathy Walking is the Co-founder of Ecofemme-org which formed in 2009. Kathy discovered cloth pads while visiting family in Australia. She found them more comfortable to wear and also this was so much easier than having to find a place to bury disposable pads. The use of disposable hygiene products is a considerable waste management issue. Provision of access to appropriate and affordable sanitary hygiene products is at the forefront of Eco Femme's work. Eco Femme is determined to counter the current trend towards disposable use in India. 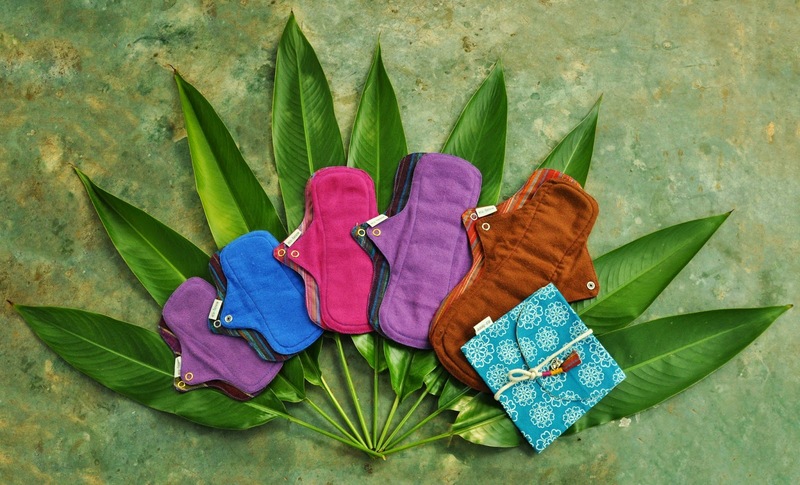 Currently 12% of the menstruating population in India uses disposable products. This percentage is likely to grow as multi-nationals recognize India as the largest growing market for these products and are marketing them across the country as the modern convenient solution. During her life time one woman will consume ~125-150kg of sanitary products. To gauge some idea of quantities, in South Australia alone 1200-1700 tonnes of feminine hygiene waste is disposed into landfills in a single year2. Disposable feminine waste is plastic laden and takes 500-800 years to degrade3. 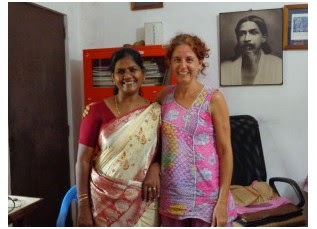 Eco femme work in partnership with Auroville Village Action Group (AVAG); a non-governmental organization that focuses on community development. AVAG works with and trains women Self Help Groups www.villageaction.org. 24 women have been fully trained in stitching and then further trained to form their own independent enterprise. Eco Femme currently provides the equivalent of 7 full time jobs. Participants are paid fair wages on a piece by piece basis. The Eco Femme Project is a social enterprise which follows fair trade principles with its employees and tailors. Each cloth pad purchased by the International community provides a pad for a young woman in India. This initiative is targeted at adolescents of age 10-19 from economically disadvantaged backgrounds. Donations are gifted as a 4 pad set during and in addition to an education program. The seminar topics cover menstrual and reproductive health, and information about the proper use and care of cloth pads.